Hiroshima City’s unprecedented extreme rain and multiple landslides of August 20 took over 70 lives and wrecked several districts. The disaster was big enough to stay in the international news cycle for a few days, in spite of a summer rife with epidemic Ebola as well as worsening economic, environmental, geopolitical and other crises. This article argues that Hiroshima merits a great deal more sustained attention, indeed that it should be deliberately made a turning point in studying climate change and urban resilience. 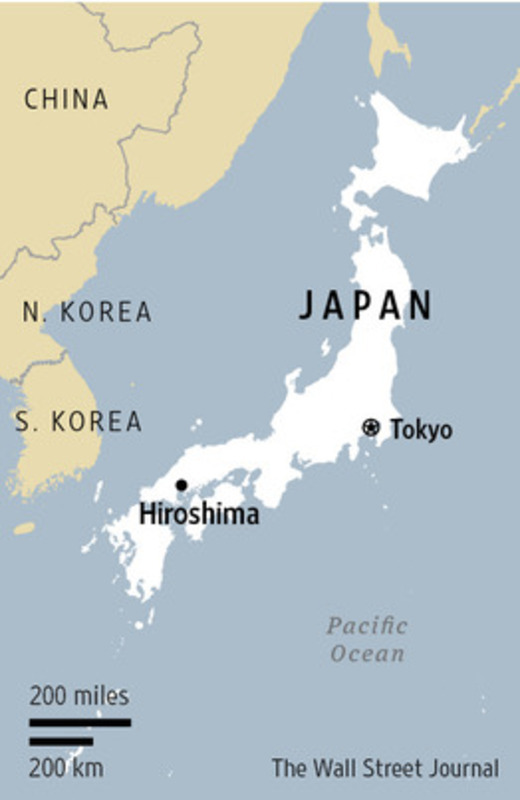 Surveys of the disaster sites, together with other evidence, suggest that Hiroshima’s calamity offers multiple warnings about the impacts of accelerating climate change. This has led to a significant flow of human, fiscal and material resources, within Japan, that could be matched and coordinated with urban-resilience programmes in the US and elsewhere. 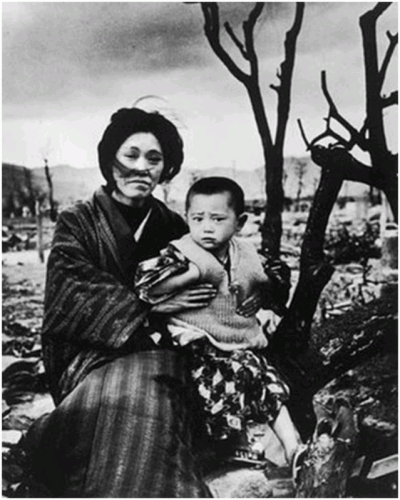 Hiroshima’s status as the icon of the nuclear age is also important. The city’s tragedies afford an historic opportunity to broaden and internationalize ongoing American initiatives to develop new metrics for measuring the dynamic reality of climate threats and adapting with green infrastructure and other means. This disruptive effort is crucial in a world dominated by status-quo interests and likely to spend USD 78 trillion on infrastructure over the years to 2025.1 Much of that money may be wasted and countless lives put at risk because urban infrastructure decisions are largely based on the predictable past. As Marshall Shepherd, Director of the University of Georgia’s Atmospheric Sciences Program and 2013 President of the American Meteorological Society argued on Aug 13, after reviewing the compelling data on intense-rainfall events in the US, civil engineers and hydrologists continue to rely on the past as a guide for storm water engineering.2 The reality is that we inhabit a rapidly urbanizing world whose city planners and infrastructure are evidently unprepared for intensifying climate extremes. We lack the collaborative global agency dedicated to fostering cutting-edge climate science and placing it at the forefront of decision-making on critical infrastructures. Thus Hiroshima could and should become a locus of collaboration on building urban resilience in the face of an accelerating collective threat. The Miiri district and its AMeDAS station are in Hiroshima’s 353.35 square km Asakita Ward, one of Hiroshima City’s 7 wards (population: 146,328). Together with the 117.21 square km Asaminami Ward (population: 241,251), these wards are large and heavily residential areas dominated by houses and condominiums in the city’s northern reaches. Both wards encompass numerous densely wooded mountains several hundred meters in height. The AMeDAS data show that Asakita Ward’s Miiri district enjoyed sunny skies in late July. But then the weather turned decidedly gloomy and wet. By mid-month, Miiri’s monitor recorded only four days with three or more hours of sunshine, and fully 8 days where there was no sunshine at all. The weather then took a further turn, from unpleasant to dangerous, as warm and moist air flowing up from the southern Pacific Ocean ran into the stalled low-pressure system over western Japan. Experts suggest a “back-building” phenomenon saw thunderstorms generated one after another, along a roughly 100-kilometer line of cumulonimbus clouds.10 On the evening of August 16, the JMA warned that mudslides were a threat throughout the prefecture due to soil saturation in many areas caused by heavy rains from 2 typhoons (numbers 11 and 12) in early August as well as the other days of drizzle and the continuing bouts of intense rain from the train of storms.11 The city was spared catastrophe on the 16th and the following few days. But disaster hit in the early morning hours of August 20, after unprecedentedly intense rain fell in the city. 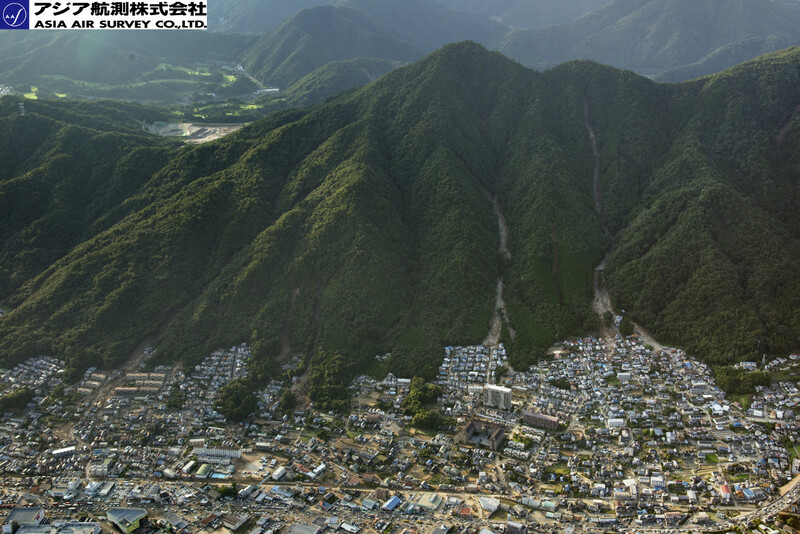 The weeks of rain, often concentrated in bursts of severe torrents, brought devastating landslides to many neighbourhoods on or near the numerous hillsides in Asaminami and Asakita wards. Fortunately, the Japanese media operate in an environment in which most adults understand that climate change is underway. Hence, the August 21 Mainichi Shimbun,29 a centrist publication, ran an interview with disaster-prevention expert Yadabe Ryouichi,30 a professor at Ehime University. Ehime is across the Inland Sea (Setou Naikai) from Hiroshima, the two prefectural capitals being just 67 kilometers apart. The Mainichi’s article centred on what to do in the face of such disasters, but Yadabe prefaced his advice by noting that increasingly intense rainfall events are a global phenomenon and thus one should not be surprised to see them occurring in Hiroshima. Unlike most press coverage in Anglo-America, the Mainichi did not search for a denialist in order to “balance” Yadabe’s remarks. And as fate would have it, Hiroshima’s disaster hit and unfolded a day before Nagasaki University professor of water engineering, Tada Akihide, gave the keynote talk – “The Influence of Climate Change and the Coming Relationship Between Water and People” – at an August 21 “Water Symposium” held in Nagasaki City.32 This symposium is an annual event, having been initiated in 1996 by the Water Engineering Committee of the Japan Society of Civil Engineers.33 The symposia are held in a different prefecture every year, and this year’s event saw attendance by 440 representatives of governments, the private sector, academics and others. Professor Tada noted that bouts of intense rain of 10 centimeters or more per hour have been recorded 9 times in Nagasaki Prefecture between 2002 and 2010, nearly double the 5 times recorded in the decade between 1992 and 2001. Hiroshima is of course the icon of the nuclear age, as is Nagasaki. 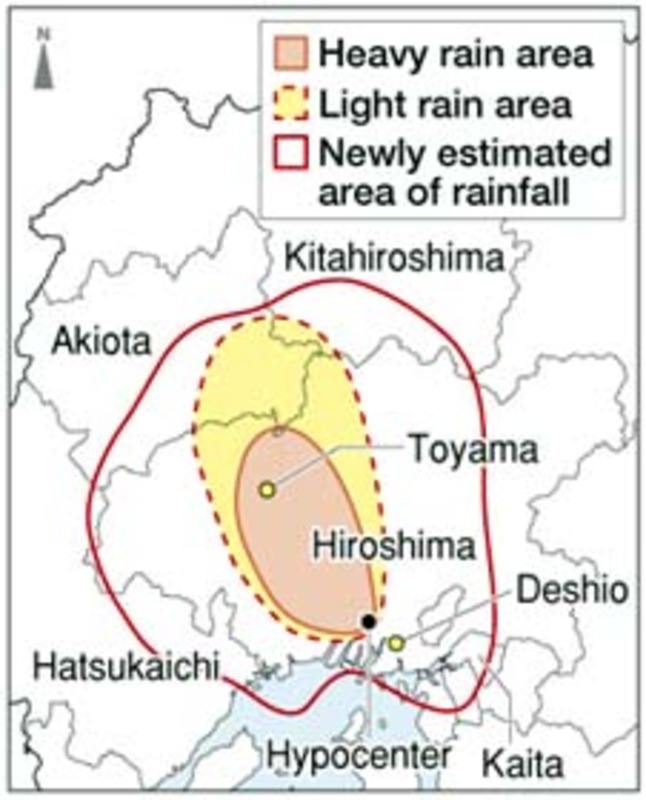 References to rain in the context of the two cities generally mean the “black rain” of radioactive fallout mixed with carbon residues from fires that consumed the cities.34 In Hiroshima, the radioactive rain began to fall about twenty minutes to a half hour after the approximately 8:15 A.M. nuclear blast on August 6, 1945. It had a devastating impact on human health, one that was completely denied at the time and covered up for years by US occupation censors. Less well known is the 26 kiloton (of TNT equivalent) Hiroshima atomic bomb’s use as a unit for measuring the planet’s heat imbalance due to the activity of greenhouse gases emitted by humans. The climate scientists who cooperate on the blog “Skeptical Science” determined in their research that this warming is 250 trillion Joules per second. As they point out, the figure is difficult for anyone to grasp, particularly lay persons – such as the present writer – without a strong background in science. So they quantified the number in terms of Hiroshima bombs (and other more familiar phenomena), finding that it is equivalent to four Hiroshima bombs per second. 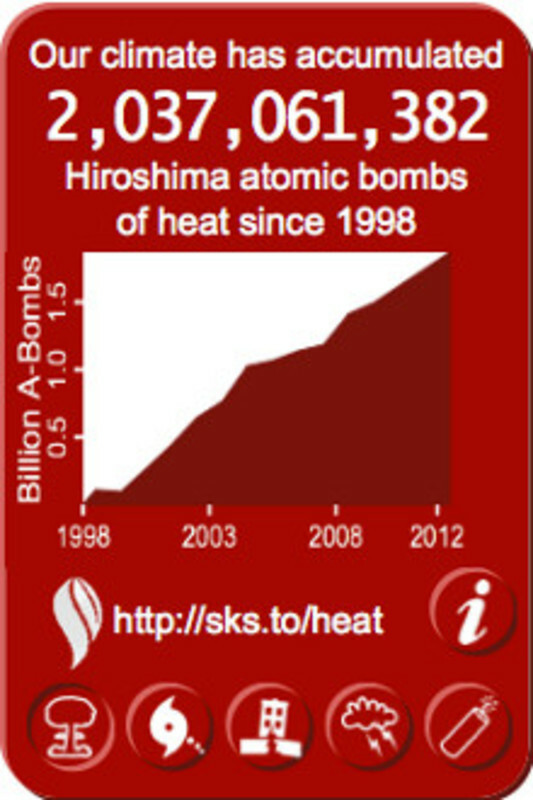 They also designed a widget that shows the accumulated number of “Hiroshima atomic bombs of heat” since 1998 a number that is well over 2 billion. Distracted by other crises as well as – to be blunt – cash from vested interests, many democratic governments have a poor capacity to respond to climate change. Naomi Oreskes and Eric Conway illustrated this weakness in their short 2014 book The Collapse of Western Civilization: A View From the Future, in which they reviewed the successes of the “carbon combustion complex” and speculated it would continue to trump science in the democratic countries, suggesting that it might lead to their downfall. This evidence of accelerating climate change and the factors inhibiting responses is the backdrop to what took place in Hiroshima. The Japanese themselves are hamstrung by ESLD. This can be seen, for example, in the over-reliance on IPCC scenarios in the white papers of the MLIT, the Ministry of the Environment, and other agencies and institutions charged with climate-related planning for urban and other infrastructures. This likely reflects ESLD at work in Japanese scientific circles as well as the difficulty of coordinating initiatives among Japan’s quite siloed central government agencies. Even Japan’s plethora of “smart city” programmes lack a critical engagement with the multiplicity of dynamic variables driving climate change and its extreme weather. Fortunately, there is an irony at work in our collective favour. Since democratic governance in the US has largely gone AWOL in the face of climate change, the military have been left to measure its implications for their runways, piers, and other infrastructure. In particular, the US Department of Defense agency Strategic Environmental Research and Development Program (SERDP), co-managed by the US Department of Energy as well as the Environmental Protection Agency, is tasked with getting the best real-time information on climate change – particularly its manifestation in weather – and what it means for infrastructure. These are not people with guns or Dr Strangelove types seeking to build more lethal weapons. Moreover, they do their work via contracts with academic experts and others who apply for grants, an approach that affords academe an opportunity to get past the ESLD problem. SERDP’s November 7, 2013 FY 2015 Statement of Need in the Resource Conservation and Climate Change (RC) program area focuses on “adapting to changes in the hydrologic cycle under non-stationary climate conditions.” This phrase may seem jargonistic, but “non-stationary climate conditions” refers to conditions in which variations in rainfall and such related phenomena as snowfall and groundwater flows are outside of the range of historic patterns. 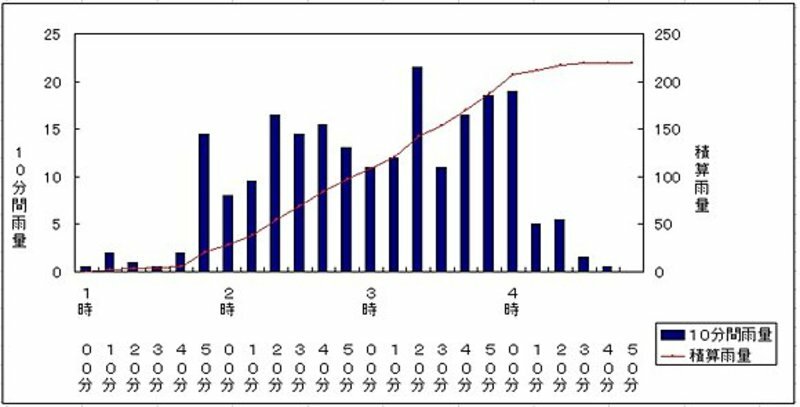 The rainfall extremes in Hiroshima may or may not be deemed “non-stationary,” depending on the degree to which JMA and other research find them deviating from past patterns. SERDP’s investigations may indeed be aided, directly or indirectly, by forthcoming Japanese work. This is because the SERDP specifically point to the need to examine rainfall patterns and their influence from climate change “for geographic regions and applications of interest of the Department of Defense (DOD).” That potentially means just about everywhere, including Japan, because the US has over 7500 military bases or other facilities in much of the world. That means the SERDP is committed to finding out how to use green infrastructure, such as natural barriers rather than concrete seawalls, and other means to cope with climate challenges. They also want to understand the kinds of climate extremes that may be experienced, region by region, over the ensuing decades, and how to build up resilience against those potentially non-linear threats. In addition, they note that the Department of Defense is keen to avoid overcommitting resources as well as undertaking “maladaptive responses.” In other words, they are also developing cost-benefit calculations that incorporate dynamism, something that is not yet being done anywhere else. In light of what we saw at Hiroshima, and see almost daily around the world, it is difficult to overstate the importance of the SERDP research programme. Returning to the disaster that hit Hiroshima, it is difficult to exaggerate the significance of SERDP’s initiative. It should become the benchmark approach for researching what is already happening and what may be coming as well as how to adapt to it cost-effectively. One reason this benchmarking is an urgent imperative is that Japan’s fiscal flows are already being hit by climate change, with poor coordination among governments. Examples of this abound. An August 29 NHK broadcast highlighted, for example, the case of Atsugi City (population: 224,426) in Kanagawa Prefecture and 40.5 km southeast of Tokyo. (Atsugi City is, as it happens, is quite close to the US Naval Air Facility Atsugi.) Over the past five years, the city has thrice been inundated with rains that exceeded the 5.1 centimeter/hour perceived as the maximum when its sewerage was put in place. Last April, for instance, a storm with rainfall of 6.5 centimeters per hour delivered significant damage to the city’s waterworks. The central government recently undertook a survey to determine the system’s inadequacies and what might be done. It turns out that increasing the capacity of the system to handle floods and storm runoff would mean widening the drainage pipes in place. But that alone would not only be costly; it would also require shifting gas lines and other infrastructures close to the currently inadequate water pipes. Inter-governmental fiscal rules in Japan see the central government fund 50% of the cost of local governments’ sewerage-installation expenses. But the prospect of paying for upgrading such infrastructure nationwide already has the MLIT arguing that “budgets are limited and we’d like local governments to use them efficiently.”44 In short, a classic example of buck-passing. At the same time, the MLIT (and other ministries) was quick to seize upon the Hiroshima slides in order to lobby for an increase in its own budget. As of August 28, the MLIT made it clear that it would be seeking a 16% increase in its allocation for the coming 2015 fiscal year, raising it to a total YEN 6.687 trillion.45 The MLIT proposes devoting YEN 293.2 of that amount to landslides and flood-control prevention. 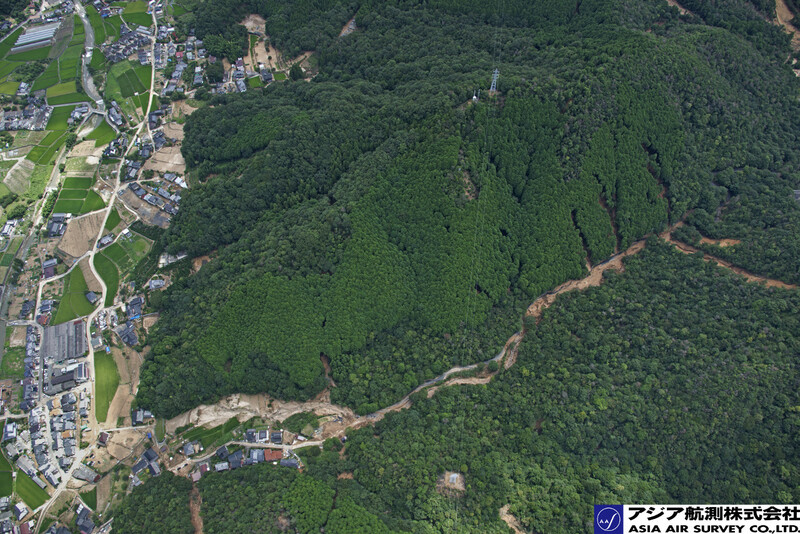 The requested increase in these two areas, if secured in the fiscal process that starts in the fall, would represent a 23% increase on the initial 2014 budget’s amounts.46 YEN 94.3 billion of that is dedicated to measures against landslides. The MLIT’s plans for the money include erosion-control dams, surveys of areas with soft ground, and YEN 11.9 billion on a special warning system to send alerts to residents’ smart phones in the event of extreme danger.47 These anti-landslide and flood-control measures may or may not be useful, but their YEN 67 billion increase certainly pales in comparison to MLIT’s request for a total increase in the year of over YEN 1 trillion. Given Japan’s well-known history of pork barrel public works, as well as the above-noted lack of engagement on climate threats, it seems legitimate to ask if expenditures are being properly prioritized. Surely some money can and should be found for a SERDP-style study. As noted in the introduction, this deliberate effort to learn again from Hiroshima seems especially crucial in a world dominated by status-quo interests and likely to spend USD 78 trillion on infrastructure over the years to 2025. Much of that money may be squandered and countless lives put at risk because urban infrastructure decisions continue to be based on a past climate that is gone. Andrew DeWit is Professor in Rikkyo University’s School of Policy Studies and a coordinator of The Asia-Pacific Journal. His recent publications include “Climate Change and the Military Role in Humanitarian Assistance and Disaster Response,” in Paul Bacon and Christopher Hobson (eds) Human Security and Japan’s Triple Disaster (Routledge, 2014), “Japan’s renewable power prospects,” in Jeff Kingston (ed) Critical Issues in Contemporary Japan (Routledge 2013), and (with Kaneko Masaru and Iida Tetsunari) “Fukushima and the Political Economy of Power Policy in Japan” in Jeff Kingston (ed) Natural Disaster and Nuclear Crisis in Japan: Response and Recovery after Japan’s 3/11 (Routledge, 2012). He is lead researcher for a five-year (2010-2015) Japanese-Government funded project on the political economy of the Feed-in Tariff. 1 “Infrastructure spending to more than double to $9 trillion annually by 2025,” PWC News Release, June 22, 2014. 2 Marshall Shepherd, “Recent Urban Floods: A simple equation,” Weather Underground News and Blogs, August 13, 2014. 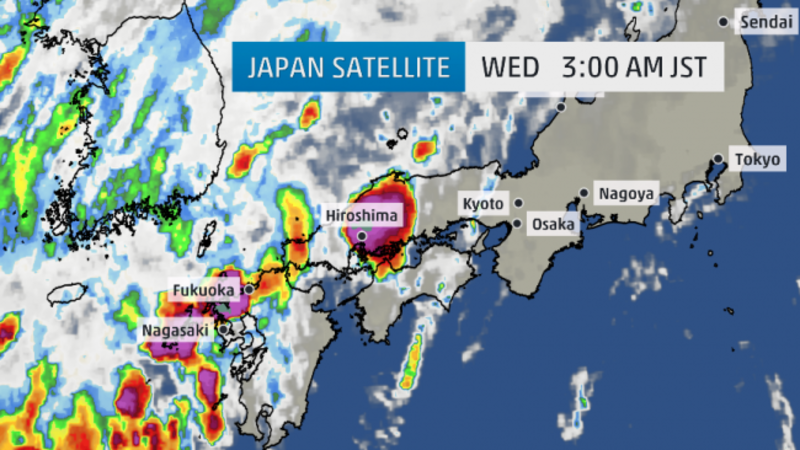 3 See (in Japanese) “Japanese Meteorological Agency calls it the ‘Torrential Rains of August, 2014,’ NHK News, August 22. See also the Japanese Meteorological Agency press release (in Japanese) “Concerning official naming of torrential rains from July 30 of 2014,” Japanese Meteorological Agency, August 22, 2014. 4 See (in Japanese) “Concerning the emergency meeting of the Extreme Weather Analysis Deliberation Committee: Analysis of the causes of August 2014 unseasonable weather,” JMA, August 26, 2014. 5 See (in Japanese) “Extreme Weather: A succession of record-breaking torrential rains, centred on Western Japan,” Mainichi Shimbun, August 22, 2014. 6 See (in Japanese) “Continuing rains already 3.6 times annual average,” Mainichi Shimbun, August 27, 2014. 7 See (in Japanese) Sakakibara Junko “The unseasonable August is headed towards historic lows in sunshine,” Tenki.jp, August 31, 2014. 8 The relevant details are described in “Observations,” Japan Meteorological Agency, nd. 9 The satellite network is slated for expansion via the scheduled October 7, 2014, launch of Himawari 8. The satellite will see satellite photo intervals cut from every 30 minutes to every 10 minutes and the number of cloud-imaging types increased from 5 to 16. See (in Japanese) “Mitsubishi Electric completes work on Himawari 8 with liftoff scheduled for October,” Sankei Shimbun, August 23, 2014. 10 See (in Japanese) “A 100-kilometre line of 25 cumulonimbus clouds in 4 hours,” Mainishi Shimbun, August, 31, 2014. 11 Japan Meteorological Agency (JMA), (in Japanese) “Please be cautious of landslide threat in Hiroshima Prefecture through late evening of the 16th,” JMA Hiroshima Station Release, August 16, 2014 (8:12 P.M.). 12 The historical (1981-2010) data for the Miiri AMeDAS station are available (in Japanese) here. 13 See (in Japanese) “Bulletin on global extreme weather events, with Hiroshima’s ‘torrential rains”. 14 See (in Japanese), “Persistent rains from typhoons, an August almost without sunshine, and then the shock from saturated ground and guerilla rain,” Sankei Shimbun, August 23, 2014. 15 See (in Japanese) “Hiroshima hit by more than an average month’s worth of rain in three hours,” Asahi Shimbun, August 20, 2014. 16 See (in Japanese) “The dead in Hiroshima total 49; multiple, simultaneous landslides in 50 locations,” Asahi Shimbun, August 23, 2014. 17 See (in Japanese) “Specialist survey suggests mudflow momentarily reached speed of 144 kilometers per hour,” Mainichi Shimbun, August 26, 2014. 18 See (in Japanese) Damage to Yagi district in the Hiroshima disaster from massive rocks that fell from area dense in them,” Nikkei Shimbun, August 31, 2014. 19 See (in Japanese) “Nagasaki Institute of Technology Professor’s survey indicates mudflow speed may have been 144 kilometers per hours, leaving not time to flee,” Sankei Shimbun, August 25, 2014. 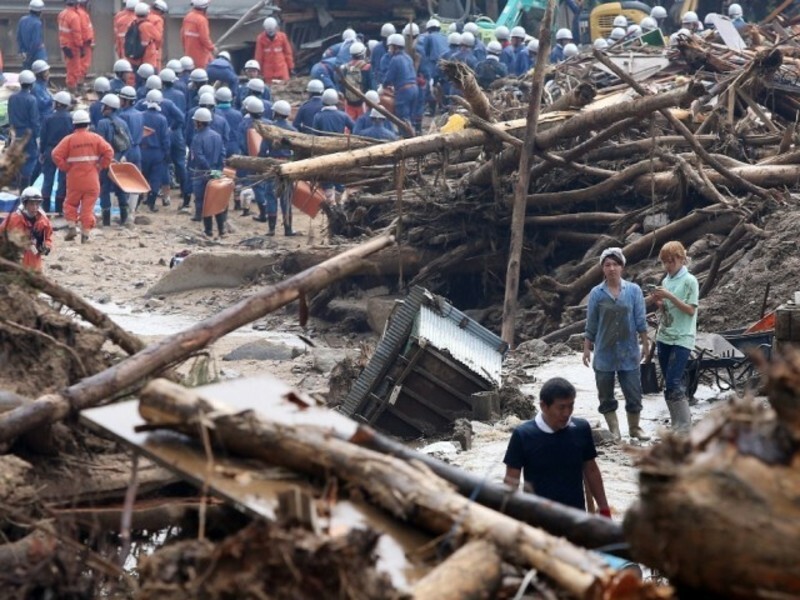 20 Toru Hanai, “Landslides hit Japan’s Hiroshima, killing at least 36,” Reuters, August 20, 2014. 21 The number is as of November 30, 2013. See pp. 32-3 of (in Japanese) “Deliberation Committee Towards Bolstering Measures Against Landslides,” November 25, 2013. 22 See (in Japanese) “Landslides have increased by 50% over the past 20 years due to global warming and the frequency of heavy rain,” Asahi Shimbun, November 16, 2013. See also (in Japanese) “Land Protection and Erosion Control,” MLIT, November 19, 2013. 23 See (in Japanese) “Even hard sedimentary rocks slide: Unprecedentedly intense rain overwhelmed geological strength,” Sankei Shimbun, August 23, 2014. 24 See (in Japanese) “The search for 2 still missing in Hiroshima slides continues,” NHK News, August 30, 2014. 25 Takashi Nakamura and Tomoyuki Hamahata, “Rescuers vigilant for secondary disaster signs,” The Japan News, August 24, 2014. 26 The precipitation, sunshine and temperature data, from August 28, and by intervals of previous 10 days, 20 days, 30 days, 60 days, and 90 days, and for all AMeDAS stations, is available here. 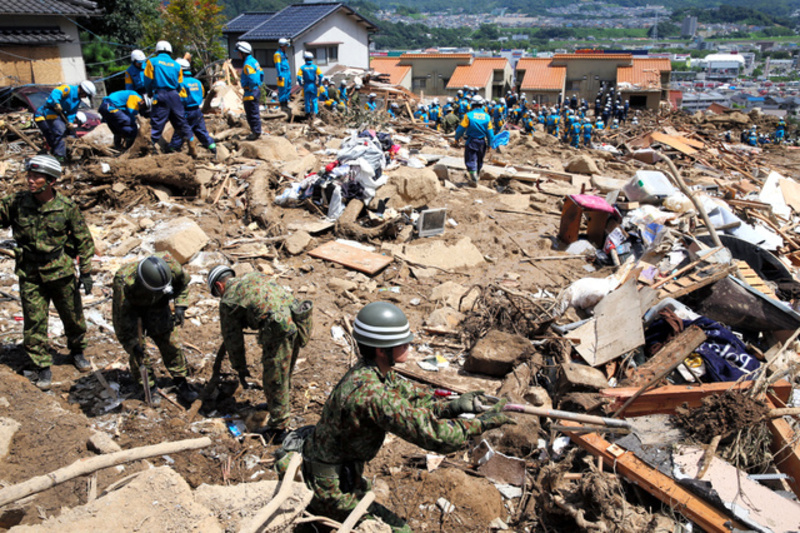 27 “Japan landslide: Death toll in Hiroshima climbs to 50,” Australia Network News, August 23, 2014. 28 One example is the New York Times coverage discussed by Joe Romm, “The Brutally Dishonest Attacks On Showtime’s Landmark Series On Climate Change,” Climate Progress, April 9, 2014. 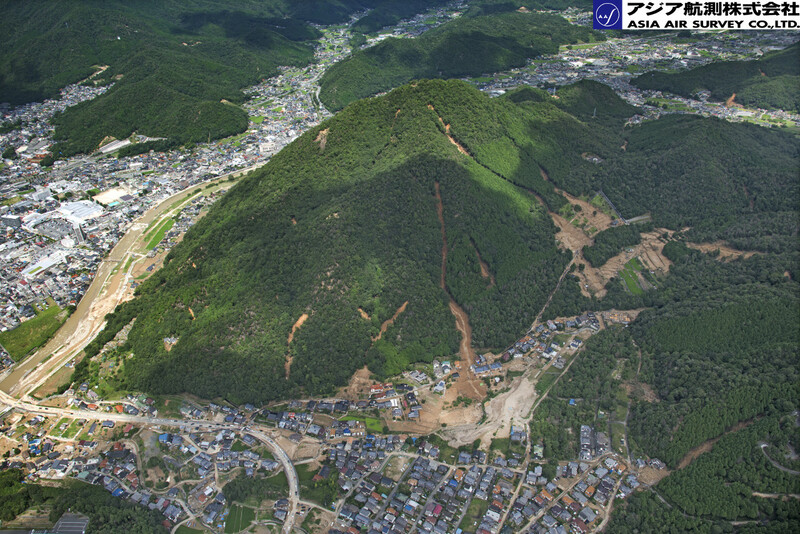 29 See (in Japanese) “An interview with Ehime University Professor Yadabe Ryouichi on how to prepare for landslides,” Mainichi Shimbun, August 21, 2014. 30 Professor Yadabe’s profile is here. 31 See (in Japanese) “Repeatedly the victims of disaster: evidence from the scene emerging that the elderly are more than half, due to physical and mental weaknesses as misunderstanding from experiential insight,” Sankei Shimbun, August 23, 2014. 32 See (in Japanese) “The threat from intense rain increases,” Nagasaki Shimbun, August 22, 2014. 33 The Society will have the centenary celebration of its founding on September 27, 2014. 34 See “Black Rain,” Hiroshima Peace Media Center, nd. 35 See Carol Rasmussen, “West Antarctic Glacier Loss Appears Unstoppable,” NASA News, May 12, 2014. 36 Carol Rasmussen, “Parched West is using up underground water,” NASA Climate Change News, July 24, 2014. 37 Climate forcing refers to the amount of energy we receive from the sun and the amount of energy radiated back into space, a product in turn of the amount of greenhouse gases. “Global warming amplifier: Rising water vapor in upper troposphere to intensify climate change,” Science Daily, July 28, 2014. 38 Chris Mooney, “Why the Scientific Case Against Fracking Keeps Getting Stronger,” Mother Jones, August 15, 2014. 39 Joe Romm, “Jet Stream Changes Driving Extreme Weather Linked Again To Global Warming, Arctic Ice Loss,” Climate Progress, August 19, 2014. 40 “Global warming is already here and could be irreversible, UN panel says,” The Guardian, August 26, 2014. 41 Keynyn Bryssea, Naomi Oreskes, Jessica O’Reilly, Michael Oppenheimer “Climate change prediction: Erring on the side of least drama?” Global Environmental Change, Volume 23, Issue 1, February 2013, Pages 327–337. 42 The “Risky Business” website is here. 43 Strategic Environmental Research and Development Program (SERDP), “FY 2015 Statement of Need, Resource Conservation and climate change [RC] program area: “adapting to changes in the hydrologic cycle under non-stationary climate conditions,” SON Number: RCSON-15-02, November 7, 2013. 44 See (in Japanese) “Local governments struggling with the difficulty of dealing with rainfalls that exceed assumptions,” NHK Newwatch, August 29, 2014. 45 See (in Japanese) “Disaster prevention stressed in MLIT YEN 6.6 trillion budget request,” Yomiuri Shimbun, August 28, 2014. 46 See (in Japanese) “Landslide and flood-control measures to YEN 290 billion in MLIT budget request,” Nikkei Shimbun, August 28, 2014. 47 See (in Japanese) “Landslide countermeasures such as erosion-control dams and danger surveys total YEN 94.3 billion in MLIT budget rerquest,” Sankei Shimbun, August 28, 2014. 48 Jean Chemnick, “CLIMATE: Obama pledges federal aid for state, local adaptation efforts,” E&E News, July 16, 2014. 49 Cited in Laura Barron-Lopez, “Sen. Murray tells Dems to push fiscal impacts of climate change,” The Hill, August 1, 2014. 50 “New NASA/JAXA Precipitation Satellite Passes Check-out, Starts Mission,” NASA News, May 30, 2014. 51 The details are available in English here. 52 See p 425 Dongyeob Kim et al “Landslide Susceptibility Mapping Using a Grid-based Infiltration Transient Model in Mountainous Regions,” in (Kyoji Sassa et al, eds) Landslide Science for a Safer Geo-Environment, Volume 2: Methods of Landslide Science. Springer: 2014.